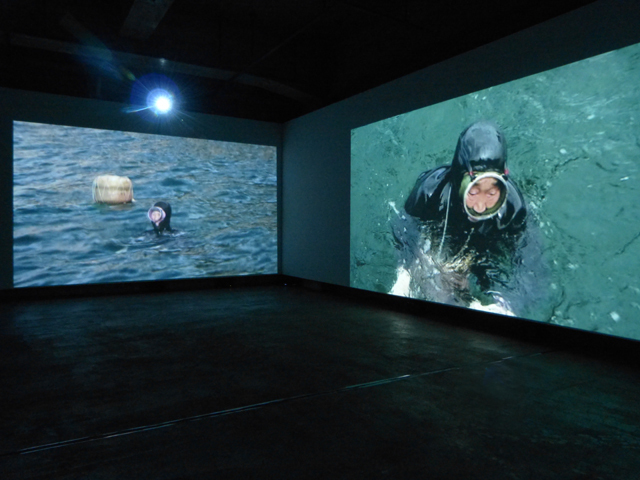 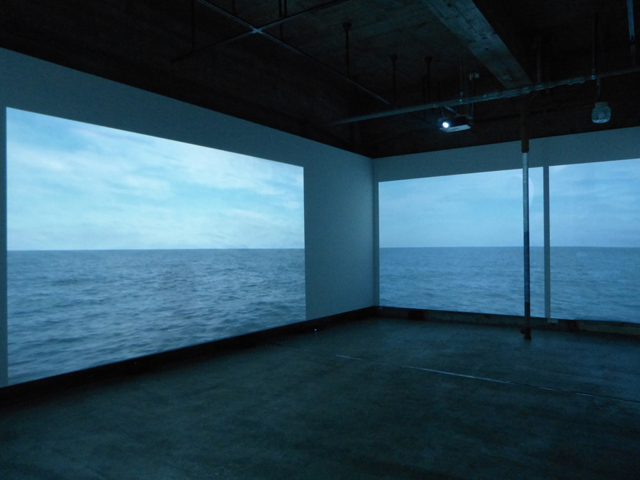 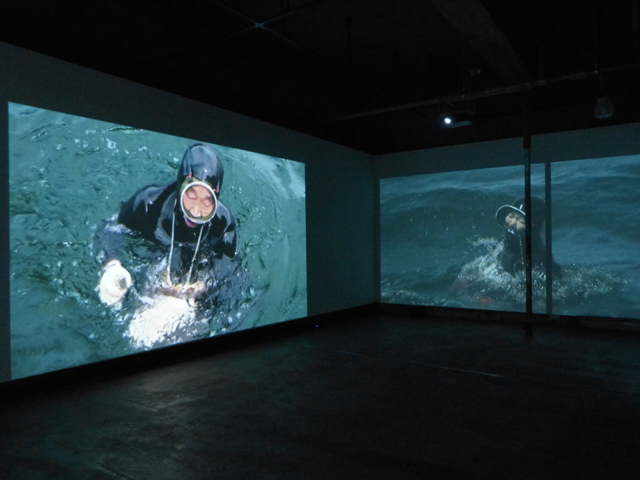 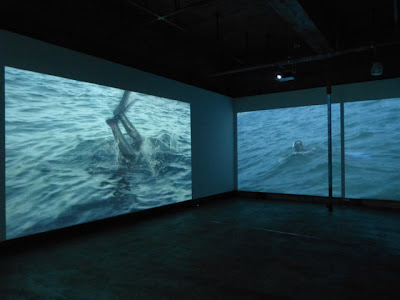 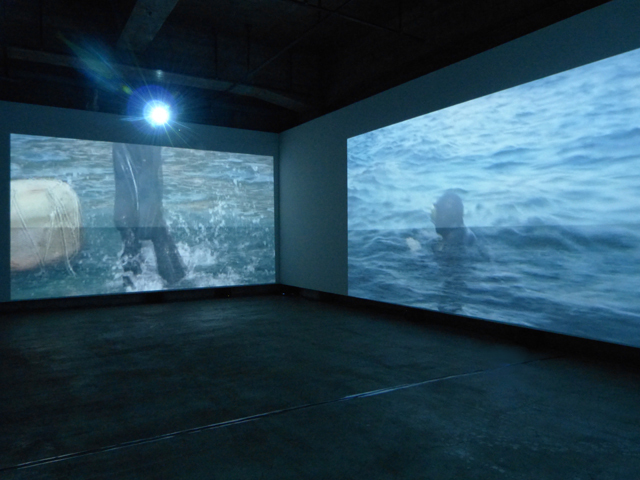 A three-channel video installation consists of video showing female free divers based in three locations (Kanezaki/Fukuoka, Sasuna/Tsushima, and Yeoung-do/Busan) in Japan and Korea where there is a folklore indicating the shared ancestral roots in this diving tradition. The work focuses on the energetic and physical moment when divers resurface and cry out for life/oxygen after holding their breath under the sea to harvest abalones and turban shells. 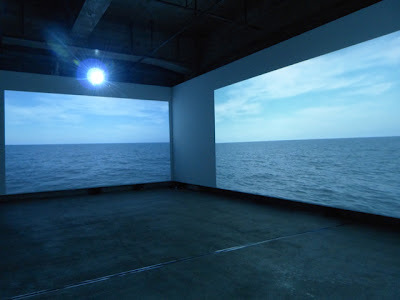 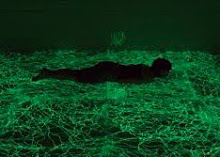 Sea is an environment within which human being is striped to the most primordial state of living being.